Sometimes life’s plans are disrupted by decisions both heart wrenching and heartwarming. Sarnia’s Vickie Lavoie knows exactly what that feels like. She and her husband were looking forward to retirement and a quieter life when they realized their daughter’s mental health wouldn’t allow her to keep her newborn. “She couldn’t cope on her own,” said Lavoie. “Suddenly I was a full-time mom again, going to doctors’ appointments, finding babysitters, dealing with the CAS and the court system. Brenda Henry also knows the joy and the challenge of raising grandchildren. Apart from practical issues like toilet training and preparing child-friendly meals, grandparents can face additional hurdles like financial worries and custody battles. “My husband and I got our grandsons 18 years ago and I’d do it all over again, but I wish there’d been a support group, someone to talk to who would understand,” said Henry. 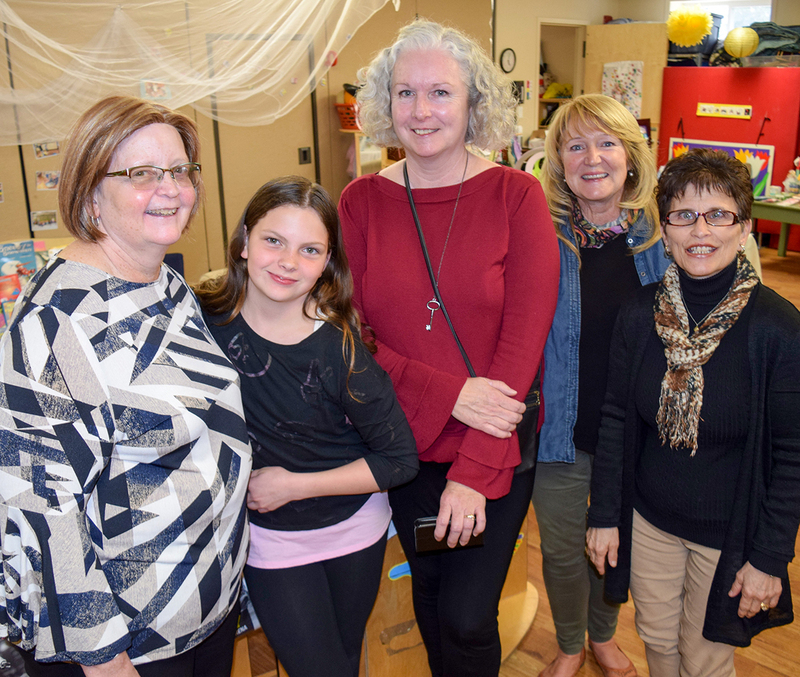 That’s why she’s joined forces with Lavoie and Ann Belton to establish a Point Edward-Sarnia chapter of Cangrands, a national not-for-profit support group for anyone raising children of family members. Most members are grandparents who have already raised a family and are retired on a fixed income. Some are aunts and uncles. The organization estimates that 22,000 Ontario grandparents are raising their grandchildren. And it’s a growing trend, says Cathy Eyre at the Point Edward Early Learning Centre, where members of the new local chapter meet every second Wednesday of the month. The early learning centre is celebrating its 50th anniversary this year with 50 acts of kindness, which includes hosting the new group. Ann Belton is also a founding member and believes there are many people like her who need the moral and practical support of a Cangrands chapter. “You’re in the prime of your life and suddenly you’re faced with raising grandchildren,” said Belton, who took in her 22-month-old granddaughter when she was 50. Belton’s husband died seven months after custody was granted and she has raised Lorelai, who is now 11. “The problem is kids are growing up and not taking responsibility,” Belton said. “A lot of this is because of the opioid crisis,” Lavoie added. “I think we all feel resentful, especially at first, but it’s not all negative. “Our grandson is three now and, while it’s a lot of work, there’s a lot of joy too. We laugh every day,” she said. Anyone interested in joining the Point Edward-Sarnia chapter of Cangrands can attend meetings or call the Point Edward Early Learning Centre 519-337-4468 and ask for Brenda. The next meeting is May 8, from 6:30 p.m. to 7:30 p.m.